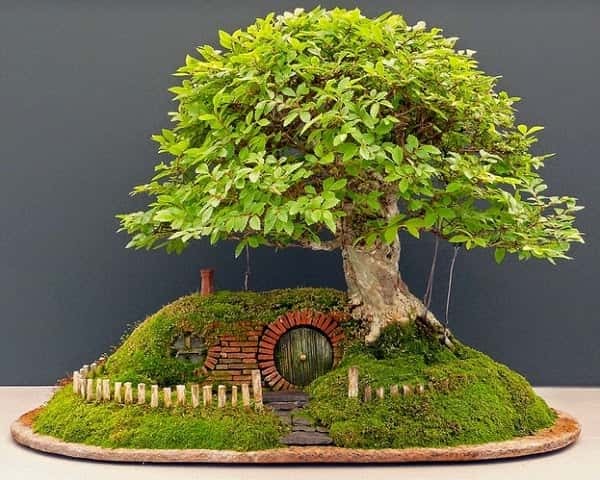 Bonsai trees do look amazing but it takes a lot of patience and skill to take care of a bonsai tree. 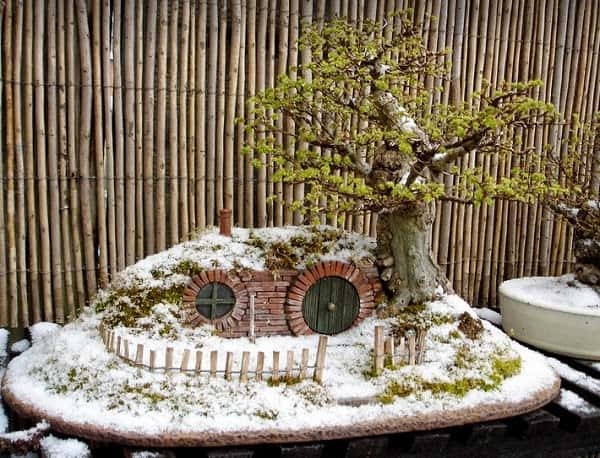 This Adorable Bonsai Home was created by Chris Guise. 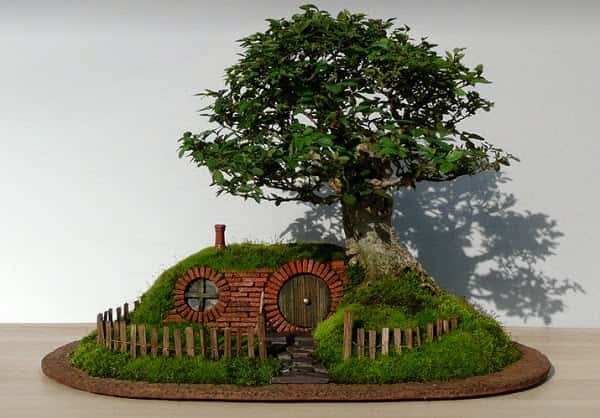 Chris is a Bonsai enthusiast and an artist. 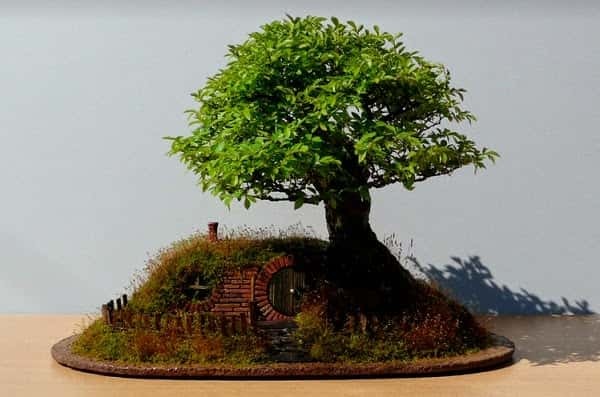 He has created many awesome Bonsai gardens and this one is called "Bag End Bonsai Trayscape." 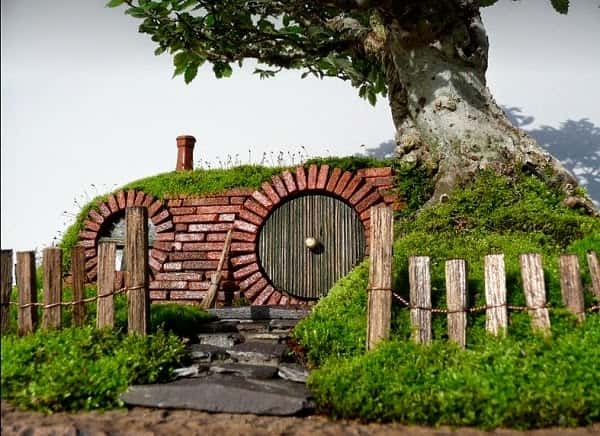 It took Chris more than 80 hours to create this masterpiece . 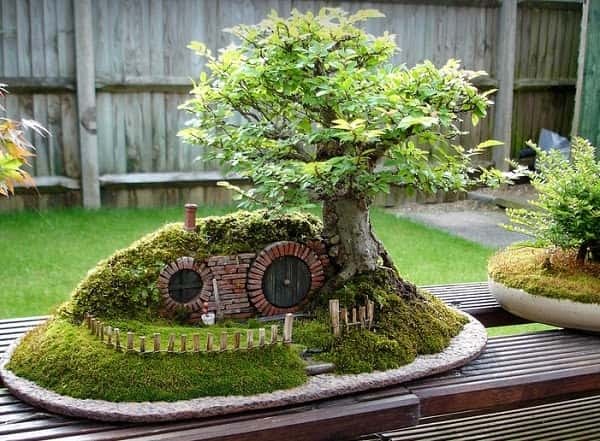 To see more photographs of this cool Bonsai home cleck "Check It Out" at the end of this post. 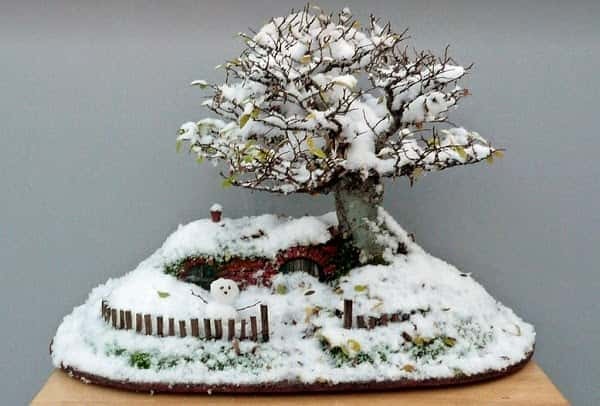 If you like the idea of creating your own Bonsai master piece here are some great, inexpensive starter kits to check out. 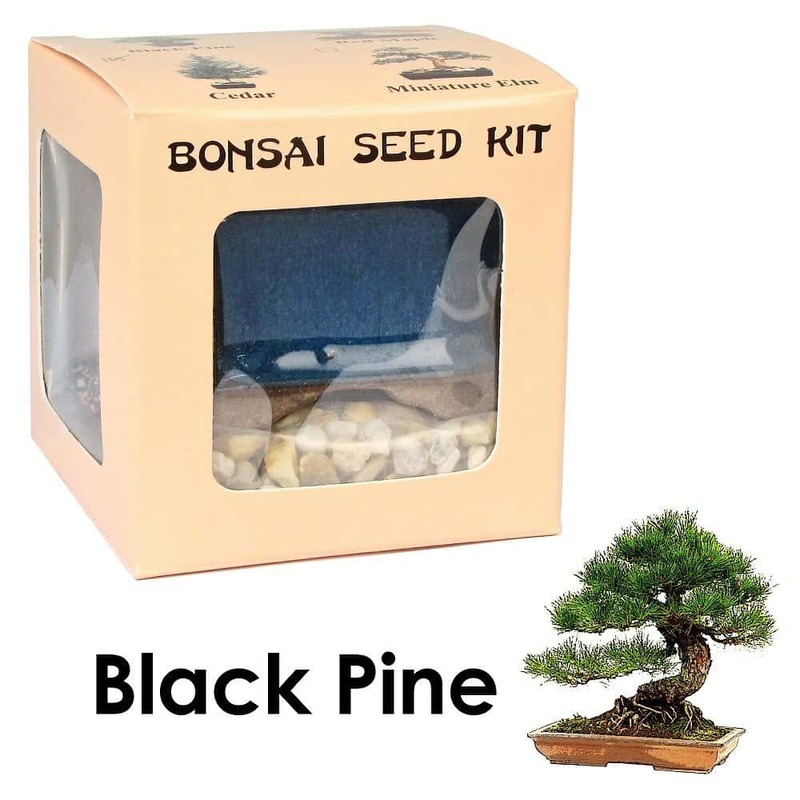 ^ The Black Pine starter kit is only $12 and it comes with everything you need to get started. An instruction guide is included. 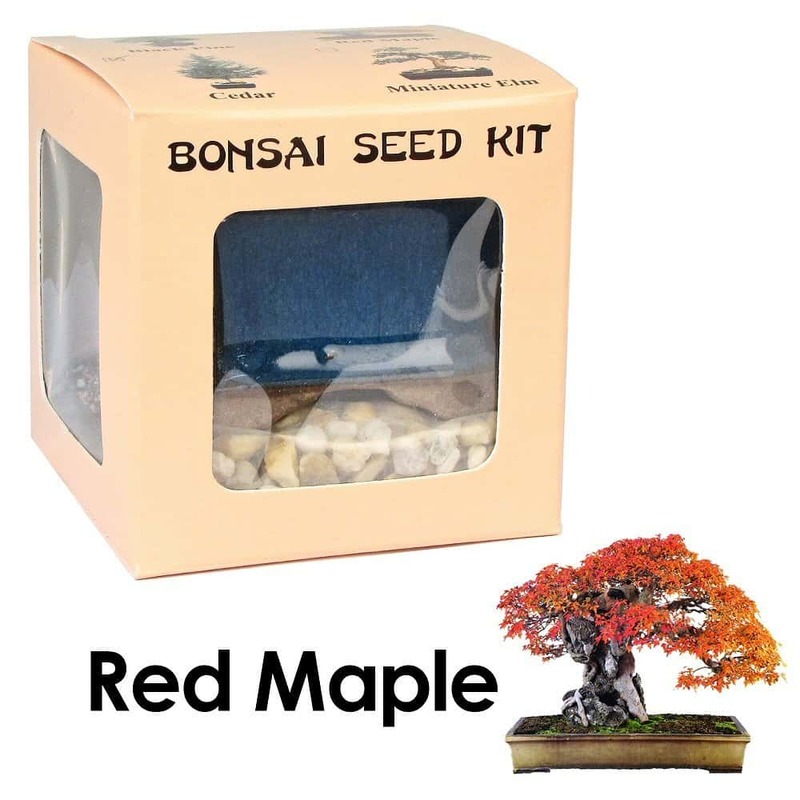 ^ If you would prefer a more colorful Bonsai garden the Red Maple Kit is perfect.